I have another uber card for you today!! I hope you like gummy bears... because today I'm gonna show you how to make these adorably delicious looking teddies! 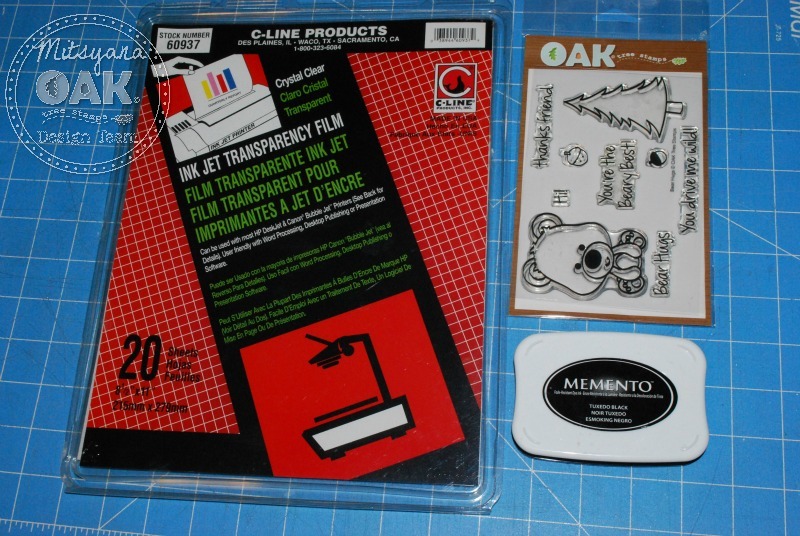 I started by stamping my image onto my ink jet transparency using Momento Tuxedo Black ink. There are two sides to the transparency... one side is smooth and the other a little rough. Make sure to stamp on the rough side... this is the side that holds/grips to the ink. 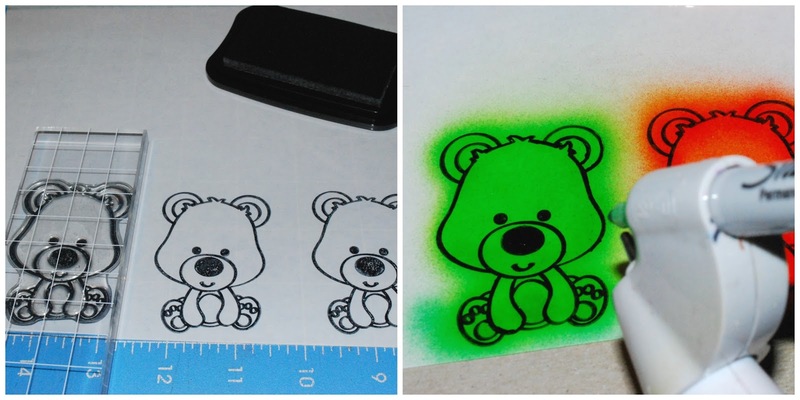 This makes the images stamp clearer with little to no smudging. 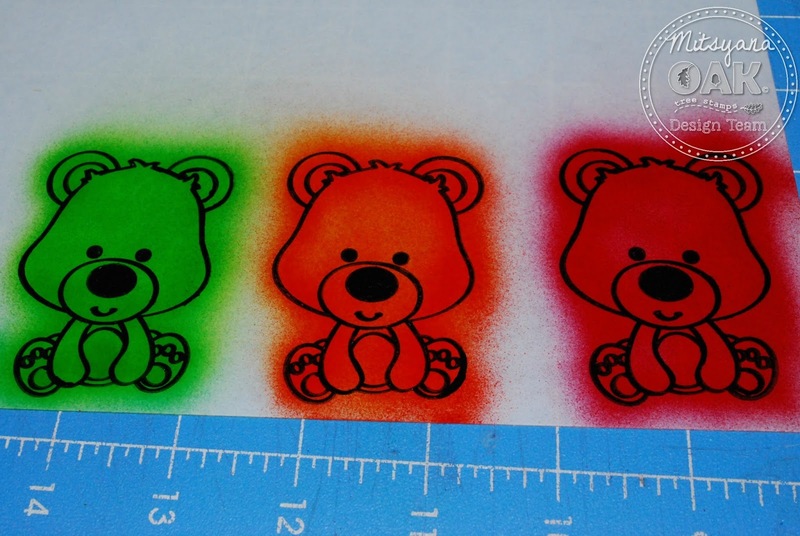 Then, I airbrushed all my bears using my ebrush machine and sharpie markers (also done on the rough side of the transparency). 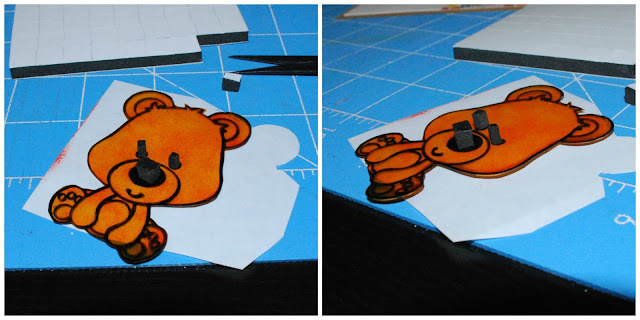 Using scissors, I cut out each of the bears. 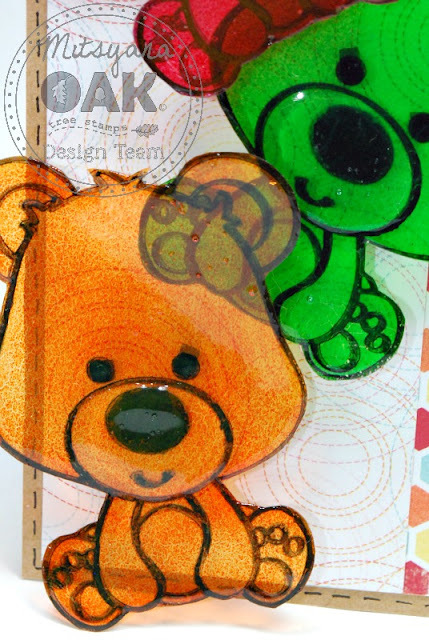 Then applied a generous amount of Diamond Glaze over my bears (also done on the rough side of the transparency). This sealed in the color as well as added dimension. Then I set them aside to dry. 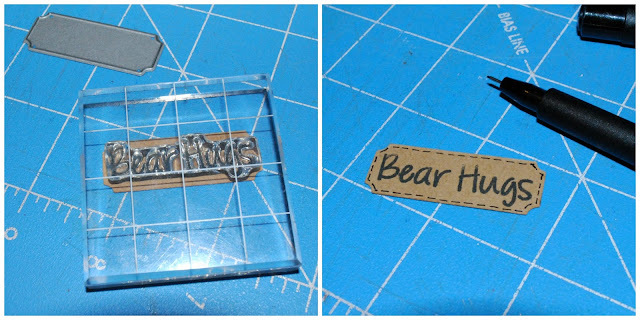 I put them onto my acrylic blocks for easy transportation. SET ASIDE TO DRY & DO NOT TOUCH!! Don't even bother to check it if it is dry or not!! The glaze goes on opaque and clears as it dries so just to be on the safe side, allow to dry overnight. The waiting is the longest part and I'm sad to say I had a couple of orange casualties!! While I was waiting for my bears to dry... I started on the body of my card. I built my A2 card base from cardstock and layered a 4"x5.25" mat and a 2"x5.25" strip. 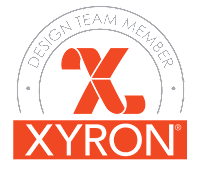 Adhered everything together using my trusty Xyron Mega Runner. My "Bear Hugs" sentiment fit perfectly onto this ticket die from my Blueprints #14 dies set. I stamped it in more Momento Tuxedo Black ink and added faux stitching details with my PITT Artist Pen in XS. For even more dimension, I added black foam adhesive squares (cut down to size). I strategically placed them behind all the bears' eyes and noses to hide them nd used black one because they blend into the black I used to stamp with. Then, I applied my bears to my card front staggering them as if the were falling. 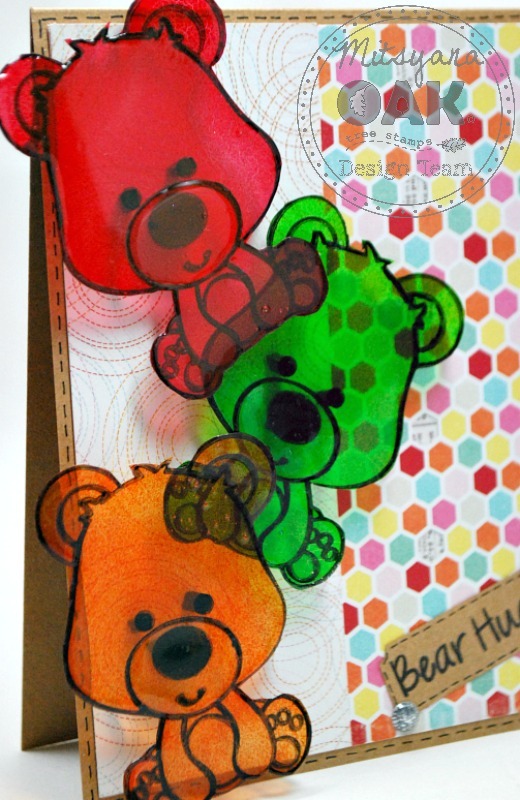 I love how the light shines through each bear and reflects their colors onto the paper behind them!! 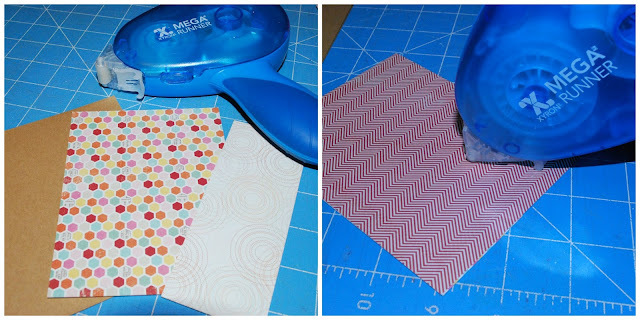 Well, I hope you enjoyed my project for today and try this technique for yourself!! And if you do make a project with this technique I would love for you to share it on my Facebook Fan Page HERE!! Oh my gosh Mitsyana, you are so darn creative. 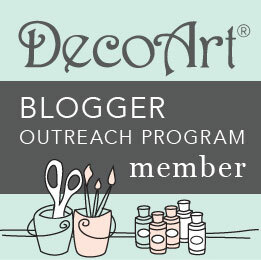 Love this idea and your step by step turorial is fabulous. Thank you so much, Mary!! I really appreciate your compliments! !